With a partial government shutdown potentially two weeks away, Democrats and Republicans are dug in, each side upping its demands and vowing not to buckle to the other. Congress still must approve appropriations bills related to: Agriculture; Commerce, Justice, and Science; Financial Services; Homeland Security; Interior and Environment; State and Foreign Operations; and Transportation and Housing and Urban Development (T-HUD). It’s Homeland Security funding that’s hanging fire, thanks to Trump. He’s refused to rule out a shutdown and has told GOP leaders that he wants no less than $5 billion for the wall, according to sources familiar with internal talks. That’s more modest than Trump’s earlier demands, which went as high as $25 billion…. Democrats would need major concessions from Republicans to deliver even $5 billion at this point. Some Republicans have discussed providing that amount over two years, but the GOP has yet to rally around that position, and it’s not clear that the president would view that as enough…. At present, Democrats are unwilling to go higher than $1.6 billion for border wall funding; they argue that the administration is struggling to spend the money they already have for border security. And if the funding fight gets kicked into next year, Democrats will have additional leverage due to their control of the House. There’s already talk of a brief stopgap funding bill if the December 7 deadline arrives without an agreement. And another option would be a continuing resolution that runs until the end of the fiscal year, which would deny both sides the additional money they want for their own priorities (some of which has already been negotiated). 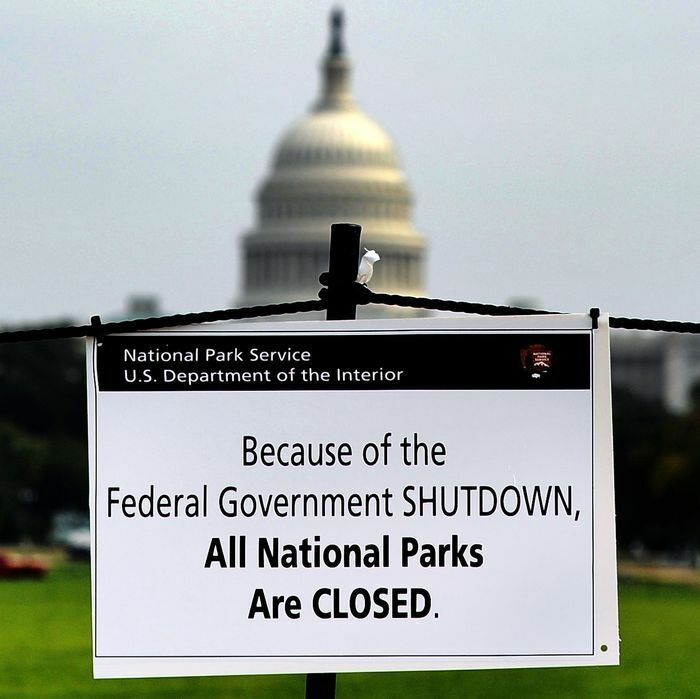 A lot will depend on Trump’s appetite for a shutdown. It’s hard to imagine him swallowing an appropriations rider that protects Mueller from his own ill intent, and the census citizenship question comes from the same nativist agenda that has made the border wall so precious to him. Traditionally presidents who have suffered adverse midterm results like to make a few conciliatory gestures to the opposition. Beginning a new relationship with freshly empowered congressional Democrats by forcing a government shutdown is not part of the normal playbook for this situation. But at some point Trump will have to follow through on one of these border wall shutdown threats, or look “weak.” And we can’t have that, can we?